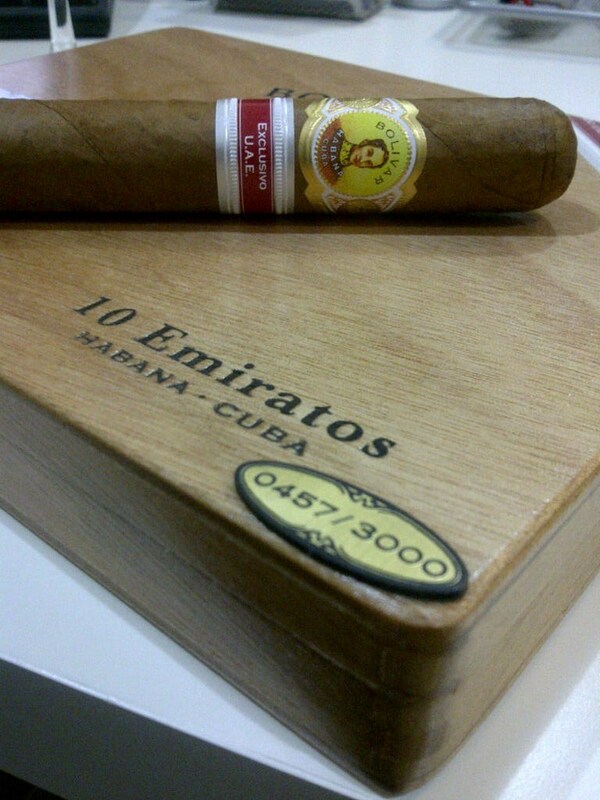 I was hesitant to pick up this box of 10 Bolivar Emiratos from Dubai International Airport a couple of weeks ago because I knew a few years back I've tried the regional release PUNCH for U.A.E and was not happy about it. I usually stay away from regional releases just because I feel that each brands' identity gets exploited for the sake of producing a blend for marketing purposes which does not follow the original brand's tobacco leaf blend that we are familiar with. So if you are wondering why I decided to buy this Regional Release Bolivar, well its because of its history and my experience with it. 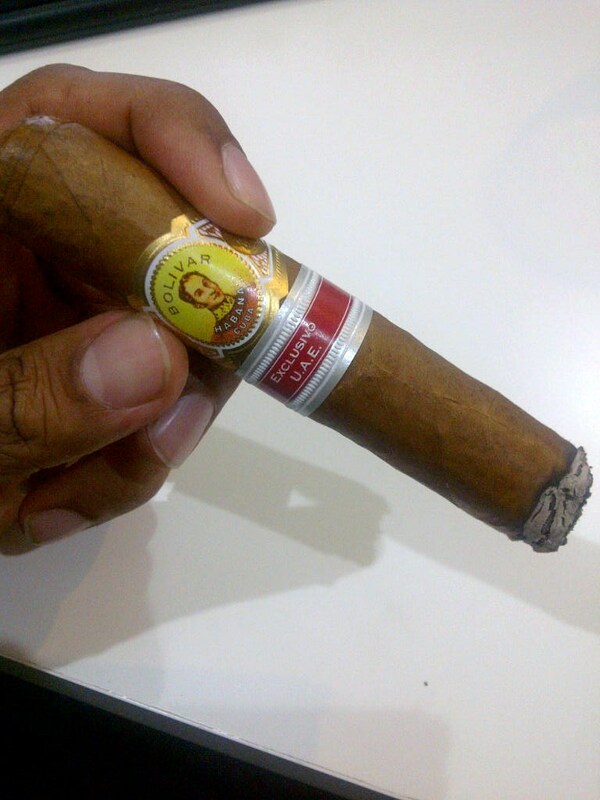 If you have smoked Bolivar in the past, you know that it has a reputation of being a strong and full-bodied cigar. Also, it comes from the same factory that produces PARTAGAS so you know this baby will be intense. A look inside reveals 10 elegant looking cigars with smooth outer Colorado Claro wrappers with minimal veins appearing. These 54 gauge Sublimes are very intimidating at first, but once lit, the story changes. First Burn gives off the cidar wood smell and taste with an intense smoke that hits the back of your throat pretty quickly. After a few blows, the subtle taste of full bodied Bolivar double Robusto Sublimes comes through with spiced wood flavors and silky smoke. The middle part continues to intensify the woody taste which is really where the Bolivar characteristics comes through of being a powerful cigar. The smoke is just abundant with a very pleasureful feel. 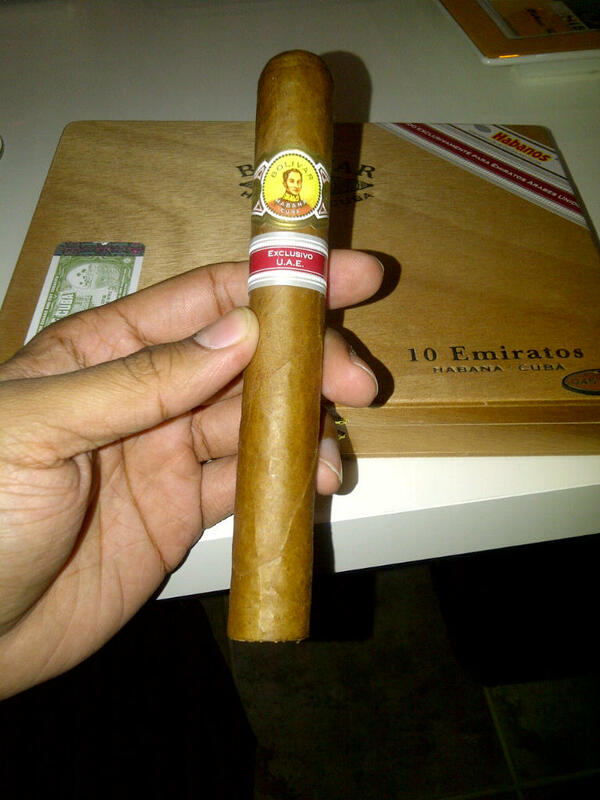 These Bolivars require patience as they tend to give complex flavors with every drag. I strongly recommend them to be paired with Nespresso's Arpeggio Roast which can complement this Cigar quiet nicely. If you are seeking intense flavors, Arpeggio is a Full body and high intensity roast with woody aroma that really goes well with the Bolivar. 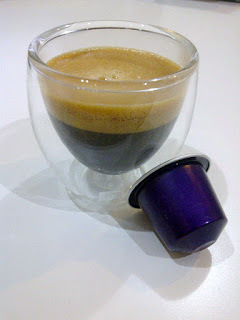 Otherwise I would suggest going with a higher acidity roast like the Nespresso's Cosi roast to maybe cut back on the Cigars intensity and mellow your pallet. 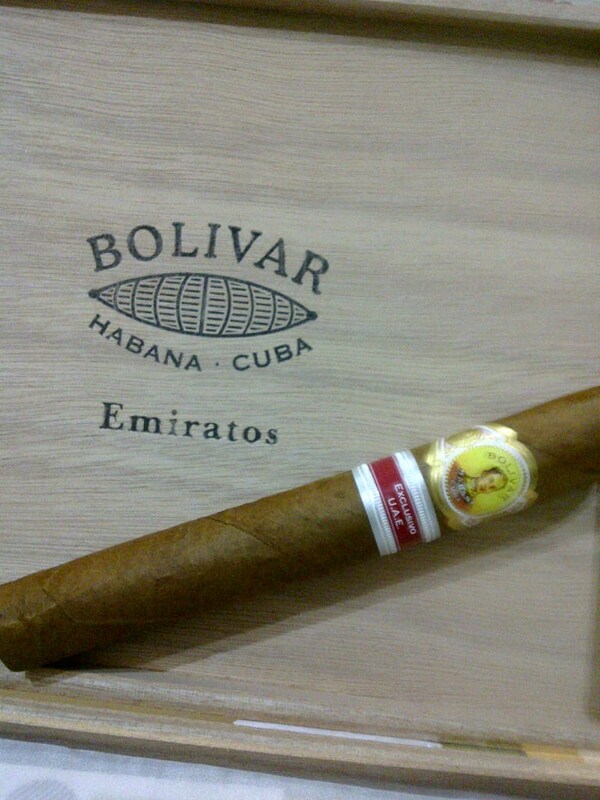 Overall, the Emiratos is a good smoke as it kept its Bolivar characteristics of being a full bodied intense flavor cigar. Heavy cigar smokers who are into powerful cigars would like the Emiratos but I would prefer have this in a short Robusto size than having to smoke the whole thing. It is all about the experience and the Bolivar Emiratos will give you one. But for now... I will stay away from this box for a while.